The South of India includes the states of Karnataka, Andhra Pradesh, Tamil Nadu and Kerala. Chennai (Madras) the capital of Tamil Nadu is a colonial seafront city. The British used the hill stations, with their breathtaking views and milder climates, to escape the heat. Even today to a large extent one can see their influence. The Union Territory of Pondicherry, near Madras is a former French colony. Bangalore, the capital city of Karnataka is a multifaceted city and is also known as the city of draught beer. Places to see in and around Karnataka are the ruins at Vijaynagar, Belur & Halebid for its sculptures, the statue at Bahubali at Sravanabelagola which is the world’s tallest freestanding monolith, Coorg which located on the hills of the Western Ghats, Bandipur, Nagarhole & Bannerghatta with its wildlife and forests. Chikmagalur is famous for its plantations and mountain scenery. Hyderabad, the capital of Andhra Pradesh, is a megacity and has many beautiful monuments. The Charminar, Hussainsagar Lake,. Mecca Masjid, Golconda Fort, the Birla Mandhir, Tank Bund, Nagarjunasagar and Nagarjunakonda. The beach resorts of Visakhapatham are often compared with Goa for their scenery and charm. Hyderabad also has a number of temples and museums. Trivandrum, the capital of Kerala, is a gateway to a world of beaches, mountains, backwaters, wildlife sanctuaries and islands. 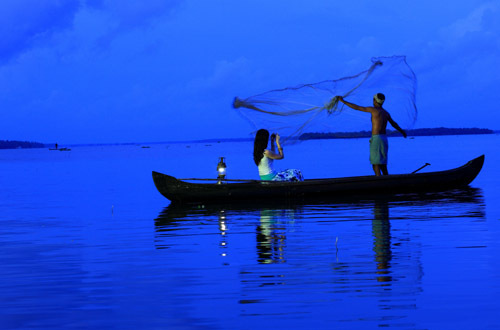 Cochin is known as ‘the Venice of the East’ and is famous for its backwater canals. 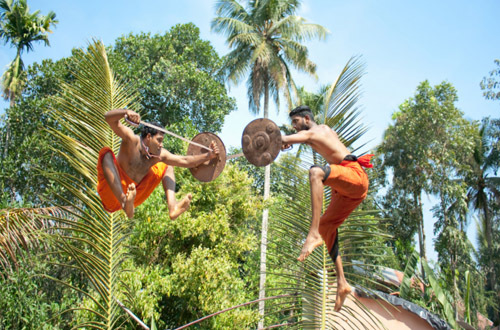 Alleppey, Kovalam, Idukki, Munnar and Gunvayoor are just some of the places one has to visit, Kerala as a state will prove to be a fascinating experience.